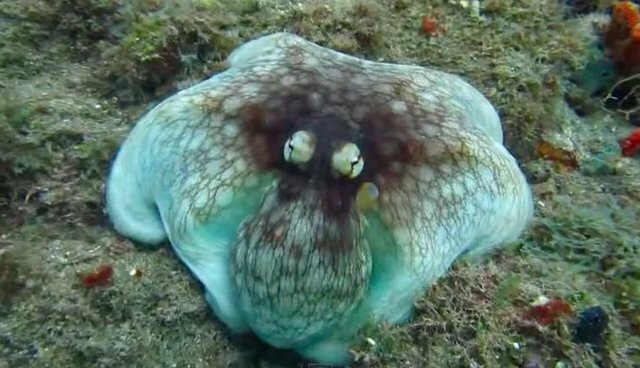 This diver was lucky enough to have had his camera filming during the exact moment a large octopus revealed herself from near-complete camouflage. Look closely. 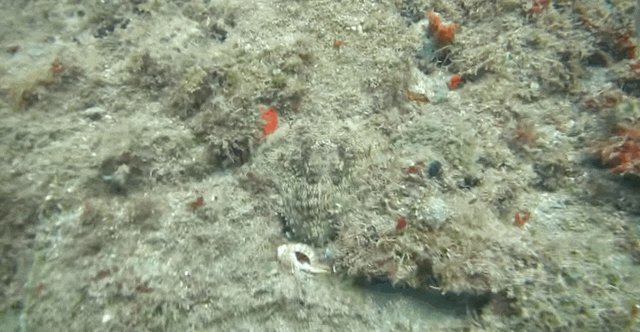 At first you can't see the octopus at all, then all of a sudden, you see her, rising up from her hiding place like the magic cephalopod she is. The incredible footage continues as the octopus unfurls her tentacles. 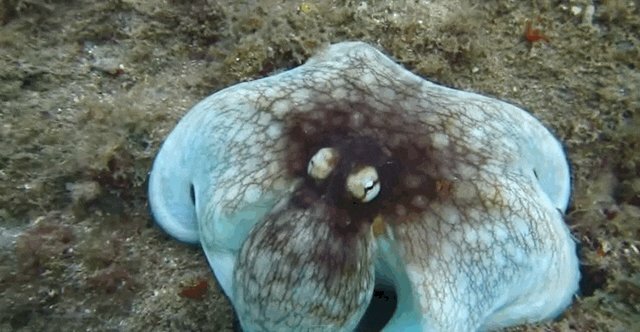 Both octopuses and squids can quickly change their appearance thanks to color-changing cells in their skin. This is just one of the amazing skills octopuses are known to possess; they can also open jars and squeeze through tiny holes. They're kind of like the superheroes of the sea.